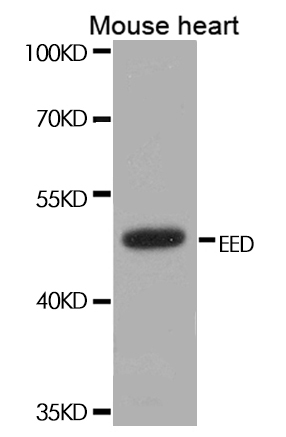 Mouse monoclonal antibody raised against a full length recombinant POU5F1, clone 4F8. POU5F1 (AAH20712, 81 a.a. ~ 164 a.a) full length recombinant protein with GST tag. MW of the GST tag alone is 26 KDa. POU5F1 Monoclonal Antibody, clone 4F8. Western Blot analysis of POU5F1 expression in HeLa. Western Blot analysis of POU5F1 expression in transfected 293T cell line by POU5F1 Monoclonal Antibody, clone 4F8.